Workers’ compensation insurers—like all insurers—are in business to make money. One of the ways that insurance companies make money is to pay out as little as possible in claims. Once you make a workers’ comp claim, the insurer may raise one or more defenses to justify its decision to pay you less than you deserve pursuant to Massachusetts state law. If you anticipate these defenses and if you work with an experienced workers’ comp lawyer who will fight to protect your benefits, then you may be able to get the benefits that you deserve. You were injured during a recreational activity. If you engaged in a recreational activity voluntarily and you were not paid for the time during which you were doing the activity, then you would not be eligible for workers’ compensation benefits even if you were hurt during the activity. This is true even if your employer paid for the activity. Some examples include athletic leagues, company picnics, or business parties. You were injured while coming to or going from work. You are not eligible for workers’ compensation if you were hurt during your commute. However, if you are hurt in your employer’s parking lot or if you travel for work then you may be eligible for workers’ compensation for your injuries. You failed to give notice to your employer or file your claim on time. You are required to give notice of your injury to your employer in writing as soon as possible. However, your failure to do so will not prevent your receipt of workers’ comp benefits if your employer knew of your injury. Additionally, you typically have four years to file your workers’ comp claim. You were provided with a suitable job offer and declined. If your employer provides you with a job that you can do according to the restrictions detailed in a report from your doctor and you decline the job, then that may have a negative impact on your receipt of workers’ comp benefits. Your injury was self-inflicted or not work-related. If your injury or illness would have occurred anywhere but happened to occur at work, then you are not eligible for workers’ compensation benefits. Similarly, if you intentionally caused your own injury then you are not eligible or workers’ compensation benefits. 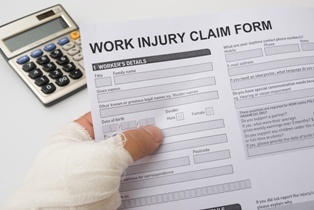 Your injury or illness must be work-related in order for you to receive workers’ comp benefits. You failed to attend doctors’ appointments. While one rescheduled appointment should not interfere with your receipt of benefits, your benefits may be impacted if you continually fail to attend your medical appointments or follow medical advice. Other defenses based on the unique circumstances of your claim may be possible. Our experienced workers’ compensation lawyers can anticipate the likely defenses in your case and present the right evidence and arguments to convince the insurance company, the Department of Industrial Accidents, or the Court of Appeals of your eligibility and of the amount of workers’ comp benefits that you should receive pursuant to Massachusetts law. We understand that your claim is important. Workers’ compensation benefits may provide you with coverage for your medical expenses, lost income, and vocational rehabilitation needs. Without these benefits, you may be struggling to pay your medical and household bills, and to get back to work. Call our experienced workers’ comp lawyers today, or reach out to us via this website, to schedule a free, confidential, no-obligation consultation about your rights. We would be happy to review your claim and to help you get the workers’ comp benefits that you deserve after a work-related injury in Massachusetts. We will take all of the guesswork out of the workers’ compensation process for you so that you can concentrate on your physical recovery.